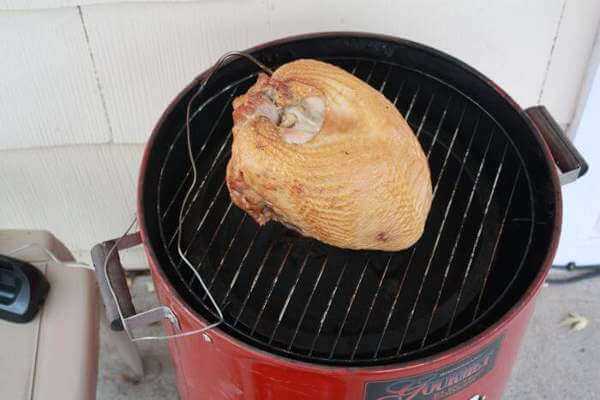 Smoking a Turkey Breast. How Long Does it Take? 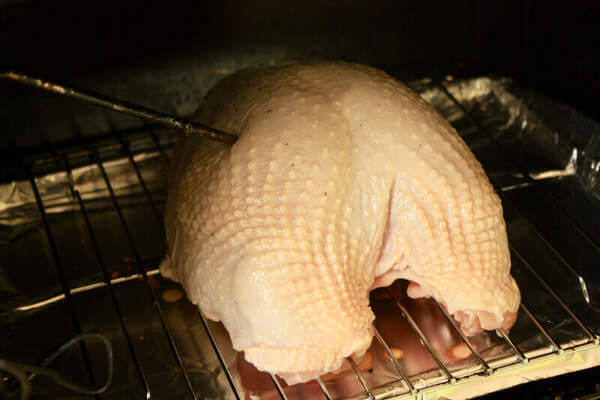 Sammy wrote to ask: Is there a general rule as to how long per pound it takes to smoke a turkey breast? Elder Replies: 250 degrees, thirty minutes per pound is perfect. I just got my smoker three weeks ago and have read a lot online. To tell you the truth, play with it. I am learning that. I have smoked ribs, chicken and now turkey breast and I have found that 240 to 260 degrees works for me and does not take the time that a lot of people say. So far ribs and chicken two and half hours. A seven pound turkey breast took three and half hours. Comments For I'm Smoking a Turkey Breast. How Long Does It Take? Funny you should ask that, because I just got back inside from taking my Thanksgiving smoked turkey breast off my Weber Smoky Mountain a couple of minutes ago. I don't know for sure how much the breast weighed, but my estimate is that it was between 7 and 8 pounds. I separated a 22 pound turkey this morning, and smoked the breast section, leg quarters and wings separately. They all went on the smoker at 4:30, and I pulled them off at 8:00. So that was three and a half hours for a, let's say 7.5 pound breast. 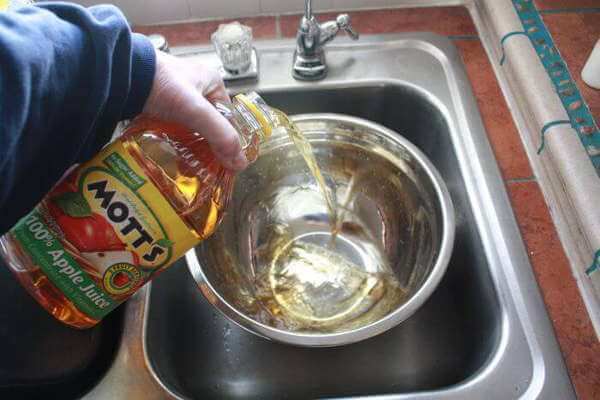 That makes 28 minutes per pound. My smoker ran at about 235 for the first hour, then averaged at 255 the next hour, and the last hour and a half it was at 265 degrees. So it took roughly 30 minutes per pound at 250 degrees. But with all the variables in smoking, going by internal temperature is the best way to go. When the breast hit 162 degrees, I removed it from the smoker. The thighs, since they are smaller, were at just over 180, and that's where I like them. It's the USDA's new determination that all parts of the turkey need to reach just 165 to be safe eating. Before the change, the thigh had to go up to 180 to be done, while the breast was done at 170, and that was difficult to accomplish. But to give you a short answer, when smoking a turkey breast at 250 degrees Fahrenheit, figure on about 1/2 hour per pound. Thank you for the great tips on smoking a turkey breast!!!! 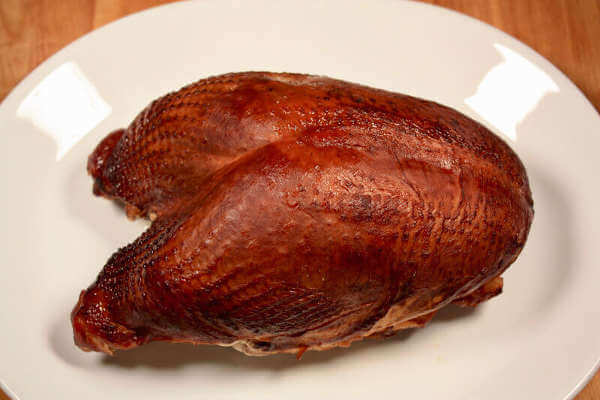 This smoked turkey breast recipe includes smoking tips and information on finding the right turkey breast for your recipe. It was grill-smoked over charcoal, using my 22" Weber kettle grill. I've had this Brinkmann Gourmet vertical electric smoker for a long time. In fact, it was one of the first smokers I bought. It did a pretty good job, but the heating element is undersized. Getting the temperature up to 225 degrees was always a challenge. 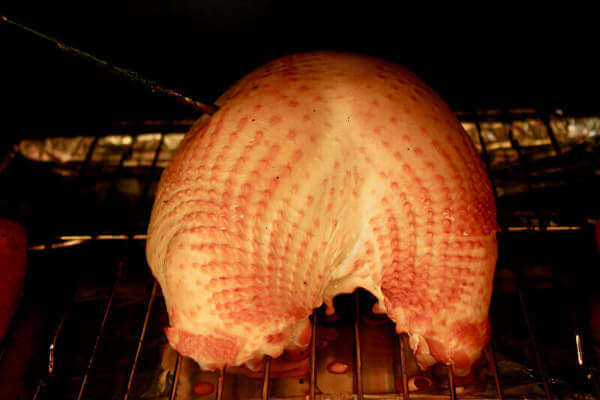 If you need specific detail for smoking a turkey breast in a vertical electric smoker, this article might help. 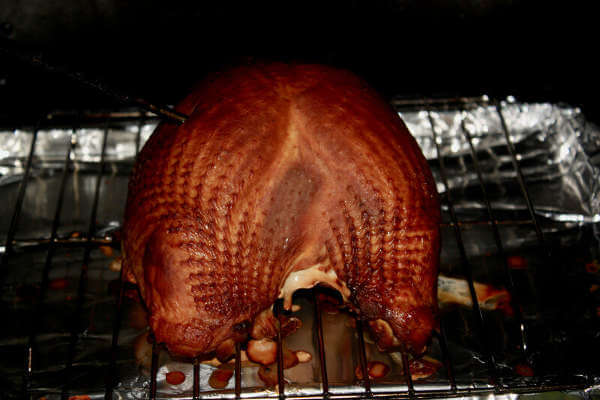 Some have had difficulty estimating the time required to smoke a turkey in an electric smoker, with many cooking a lot quicker than expected. The discussion brings up things to consider when smoking a turkey, and some interesting and creative solutions.